From the sounds of grand opera to the stages of Southern Gospel, Grammy winner Larry Ford has found audiences responding to his commanding voice. 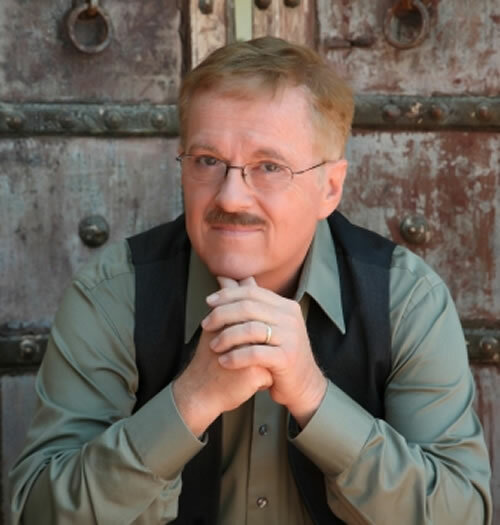 Originally from Lubbock, Texas, Larry's work has taken him to 49 of the 50 states in the U.S. From the far reaches of Seoul, Korea to the southern hemisphere's Spanish speaking countries, Larry's facility with language has made it possible for him to carry his message in song to more than thirty foreign countries. His passion for ministry abroad has led to his being described as "gospel musicâs ambassador to the world". Larry Ford has attracted a legion of admirers who appreciate his clear, powerful tenor voice and utter sincerity. In 2003, Ford was awarded a Grammy for Best Southern Gospel Recording. His entrÃ©e to the world stage was as a featured soloist on the Gaither Music Homecoming DVD series, which consistently ranks in the top of Billboard Magazines music charts. In a survey by the Gaither Music organization, Larry was one of the three most requested soloists on the Gaither Homecoming videos (April, 2014). Larry Ford presents over 75 concerts a year to audiences around the world. His schedule normally involves weekend church services or concerts, although he occasionally schedules two to three week tours for international concerts. The Grammy-winning former pastor has made albums not just of hymns and praise music, but of patriotic American songs and Irish folk tunes. He has sung the National Anthem for the Boston Red Sox and Tampa Bay Lightning. Larry has been a pilot - a pastor - and all of his life, a worshiper. He understands a pastor's heart. Maybe you're planning a big event as an outreach to your community - or maybe your church family needs inspiration and encouragement. Larry's voice and ministry can be an encouragement to your church family to reach up - and out.